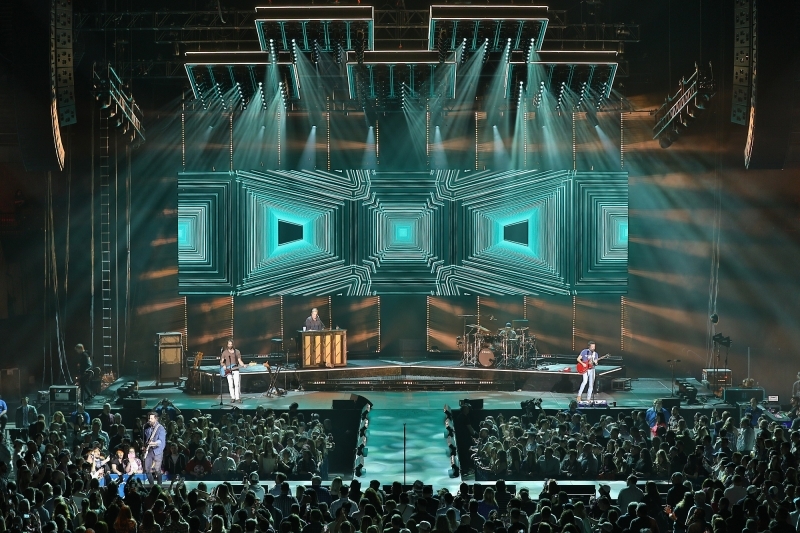 Reigning CMA and ACM “Vocal Group of the Year”, Old Dominion, launched a headlining arena tour in January with a statement-making lighting design by Travis Shirley that undoubtedly raises the country rock group into the echelon of one of this year’s must-see touring acts. 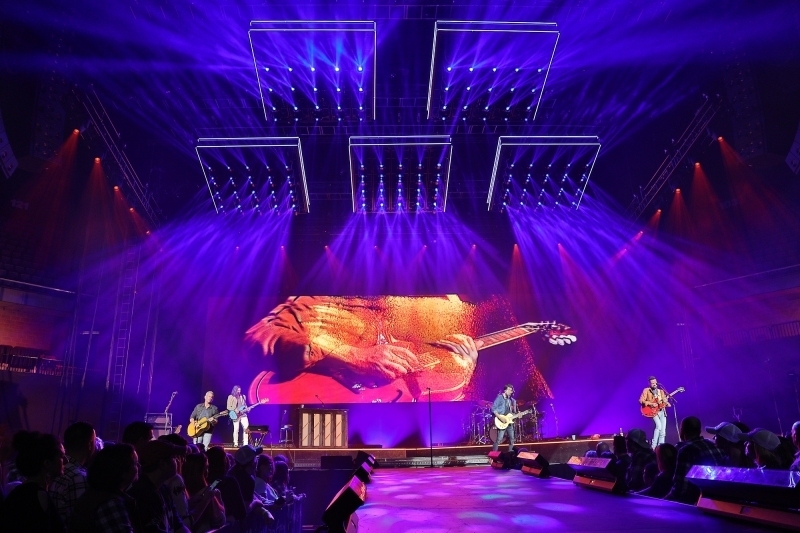 Full service production company Morris Light & Sound of Nashville has worked with Old Dominion for the last four years and is supplying the lighting for the tour, which kicked off January 18th in Chicago and will be playing dates through the summer. Lighting direction is by Kevin Lichty with lighting programming by Andre Petrus. 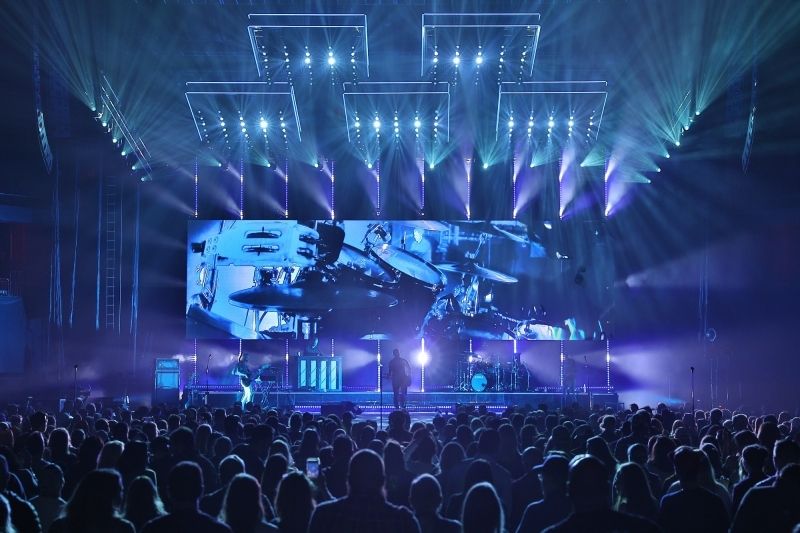 Besides the DARTZ fixtures, the rig also includes Elation’s new Artiste Picasso™ LED moving head, as well as Elation Chorus Line 16™ LED pixel bars, Elation Cuepix Blinders and a smattering of other lights. The lighting, especially Shirley’s signature monochromatic looks, works quite well with the LED wall and its modern-looking graphical designs. Trimmed at a high 36 feet, the designer says he realized the DARTZ looked good even if he only had them on in single rows. “They are extremely punchy, and once we added color and beam attributes it still read really well,” he said. “I don’t know what other light I would have rather used in these pods to be honest.” Shirley then added dual strips of custom LED tape around the sides of each pod, a visual detail that reads really well. With such a large number of fixtures to work with each show, lengthy prep time could easily have been an issue. Lichty comments, “One of the things I was worried about going in to this tour was spending too much time focusing 175 DARTZ every day, on top of giving my attention to the other elements of the show. Once we built the focuses in rehearsals, the fixtures have really kept that information from show to show. With the occasional touch ups here and there of each position, I have been very pleased with how the DARTZ have held up. The lighting crew does a great job making sure they are all hanging straight and the pods are placed perfectly each day, which helps me out tremendously." 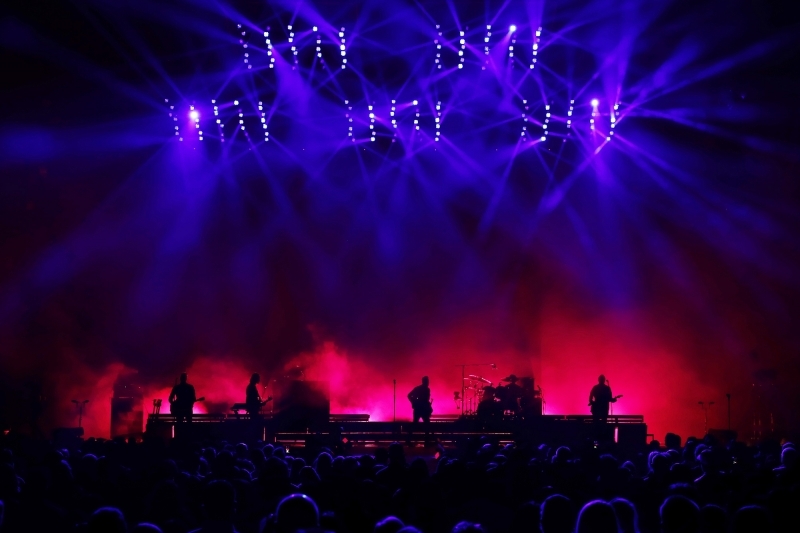 Lined on each side truss, the upstage truss and on the floor are Artiste Picasso movers, Elation’s new mid-level profile LED fixture with CMY color mixing, zoom, framing, gobos, animation, prisms, frost and more. “It’s just a wonderful light,” he said. “It has amazing colors and optics and cut through the way it needed to.” Used to light the band and audience, Shirley also accessed the fixture’s graphics for breakups and textured the backdrop using the animation wheel. “It’s a bright, clean looking light with a tight focus, no hotpot, and just a very even light. It ended up blowing away any expectations I had of it,” he said, adding that he is specing it on a couple of other tours as well. As the design finalized and Shirley knew there wouldn’t be automation involved, he came up with other ways to keep the look interesting throughout the show. “This tour doesn’t include a lot of gags” he says, “so we had to think of when to reveal certain lighting fixtures to keep it fresh.” One of those reveals involves ten lines of Chorus Line LED battens built into custom frames and visible behind the LED video screen. The designer says that when he went with a creative landscape-style screen he knew he wanted to add a lighting element behind it. “We knew we needed some horsepower behind it to give some depth to the whole thing so I came up with these lines of Chorus Lines,” he said. “There’s a backdrop in front of it for the first few songs and we wait a few songs to reveal it. When the Chorus Lines are zoomed out it creates a halo effect behind the LED wall and gives dimension to the video screen.” Chorus Line 16s include motorized zoom optics so it can be used to light set objects and cycs and a 220° tilt motor function lets designers position the unit dynamically during a show. On Old Dominion, Shirley also used them to line the stage and risers. Any tour involves multiple players who must work together to achieve a satisfying result, a process familiar to any successful production company. 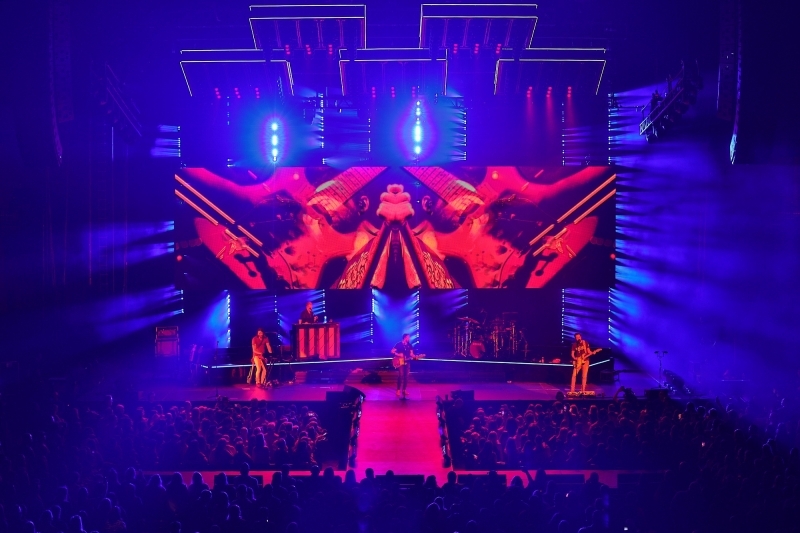 Speaking to the teamwork involved on the “Make it Sweet” project, Morris Light & Sound President David Haskell commented, “As the lighting vendor for the tour we worked with the designer as well as the artist, in this case to make sure that their vision, budget and expectations are met. The collaborative effort between designer, vendor and manufacturer was a very positive one on this project as well. I always enjoy working with Elation through this process. Their staff and wide range of products allow for a solution for most every application and my relationship with Eric Loader and John Dunn has been amazing. They are always available and willing to contribute to every project no matter how big or small.” Lighting Director Lichty concurred with the support, adding, “Our lighting crew on the road is top notch and they do a great job each day making sure the rig is loaded in quickly and efficiently while keeping it all working at 100%."